Why Are We So Obsessed With Pumpkin Spice? Pumpkin spice hits emotional triggers that have little to do with flavor alone. Consumers continue to crave all things pumpkin spice this season—not only the return of the popular Starbucks latte that started it all, but also dozens of pumpkin-flavored products from major brands including Oreos and M&Ms, as well as some curious offerings, such as pumpkin-scented deodorant and pet shampoo. While seasonality and limited quantities pump up the pumpkin fad, there’s a bigger consumer desire driving this trend, making it less about the spice and more about consumers wanting to spice up their lives. Consumer demand for new flavors and experiences continues to drive food marketing, making the flavor and fragrance category big business, accounting for about $25 billion in annual U.S. sales in 2016. Flavor is important, but it’s also about experiences, which consumers increasingly crave as an antidote to daily stress. For many consumers, the warmth and aroma of, say, a pumpkin spice snack cake and a fall-flavored coffee are invitations to stop and savor. There’s also the simple fact of scarcity. Consumers can’t get their favorite flavor any time of year, which makes them value it all the more and creates a spike in demand for a product. For example, McDonald’s MCD offers its St. Patrick’s Day-themed Shamrock Shakes seasonally, during the late winter/early spring doldrums when consumers need a pick-me-up, and this leads to an overall increase in sales. Some 60 million Shamrock Shakes have been sold since their introduction in 1970s. The pumpkin spice craze is only the latest in a long line of fads that catch on for a variety of reasons, from clever marketing and strategically controlled supply to consumers getting caught up in the social buzz. You may remember those tiny plush toys known as Beanie Babies. The same consumer fever appears to be pushing pumpkin spice to extremes, such as pumpkin spice sausage. 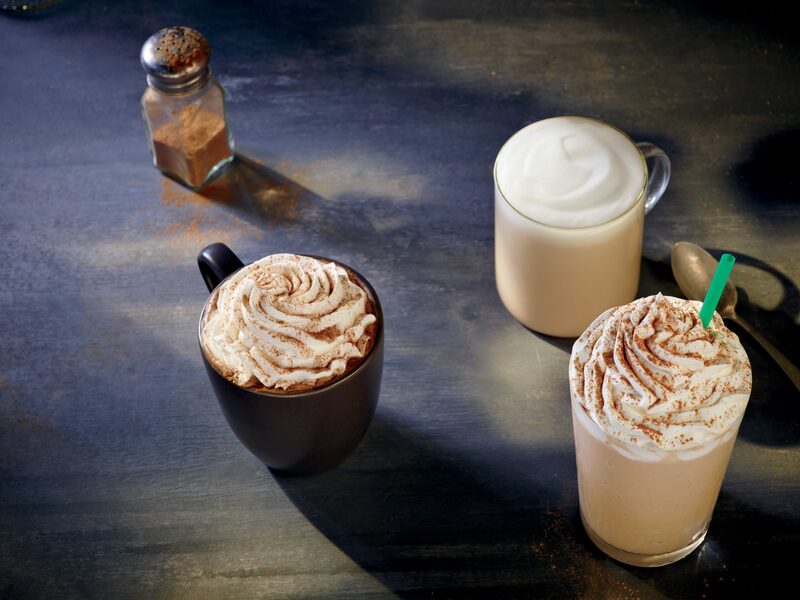 While the seasonality of products such as fall-flavored lattes heightens consumer anticipation and desire—and apparently the angst of some baristas facing a customer onslaught—there are other reasons for companies to offer them. Seasonality also helps protect brand-named products from private label competition and attract attention in the grocery aisle. Consider the “news” that Cheerios will have an autumnal variety—pumpkin spice, of course. White-label manufacturers that produce store brands simply can’t ramp up a seasonal product at scale. A seasonal favorite gives a brand additional differentiation at retail. While the return of pumpkin spice is stampeding consumers again this year, all it will take is one too many products or extended availability for this favorite flavor to saturate the market and hit a reverse tipping point. Too many pumpkin-spiced foods, candy, and even beer will feel like so last year. Then the large orange gourd will be out, not in. For now, though, consumer desire for spices and experiences has them reaching for pumpkin-flavored products, and even recipes. As long as this flavor continues to evoke comfort and coziness, and as long as it enlivens favorite foods and drinks that consumers genuinely crave, pumpkin spice is not at risk of saturating itself out of the market—at least not until the next new seasonal favorite comes out of the food lab. Bobby J. Calder is a professor at Kellogg School of Management at Northwestern University.